Elementary school teacher Frans van der Steg always uses the last few minutes of the class day to tell them an adventurous story he makes up on the spot. He finds it the perfect way to get them to clean away their things quickly and without too much interruption. The hero of many of his stories is his much braver alter-ego Frans the Red, the last name referring to his own red hair. One day his story ends on a cliffhanger, in which he says he's awaiting an important letter. Frans doesn't yet know what the letter says but he assumes he will think of something the next day. However, he doesn't have to make up any stories this time around because a mysterious letter does arrive on his doorstep soon after. At first he assumes his school kids are behind it, but he soon finds out this isn't the case at all as he winds up in a dangerous conspiracy involving an illusive count and his nephew living in the House of Stairs, the roads leading from Seven Ways, and a prophecy talking about a treasure that can only be found under the right circumstances... by the right people. The novel has all the elements of a Tonke Dragt adventure, but rather than taking place in a fantastical medieval world, like The Letter for the King and The Secrets of the Wild Wood, this time around she brings her imaginative plot to an ordinary location; a school class and its teacher. Not only that but the title of the book and a prominent feature within the novel, Seven Ways, is a classic Dutch children's song, which together with its realistic setting created a very really relatable and gripping tale (not to mention that even though I finished the book a few days ago, I'm still humming the tune!). 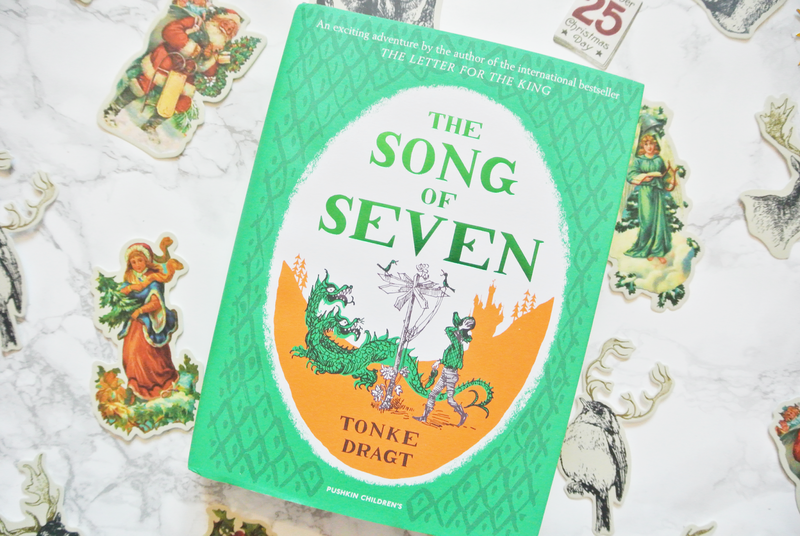 The Song of Seven is an intriguing mystery, ghost story and treasure hunt, all wrapped into one exciting adventure. Tonke Dragt has an incredible imagination and once again she has created a world where once you dive into it you don't want to leave. From the Biker Boy to Green Eyes, there are so many clever developments with the characters and storyline that you won't see coming that you'll be hooked from the moment that Frans receives that first unexpected letter. This is another classic for children and adults alike, and I hope that even though it took 50 years to receive its English translation it will gather many more global fans for Tonke Dragt's fantastic novels. While I don't remember having read the book before, I do have very fond memories of the television show from the 1980s. If you understand Dutch, I highly recommend watching the TV series after you've read the book, which is an incredibly accurate adaptation and really gets the feeling of mystery, intrigue and excitement across. Check out the first episode below! The Song of Seven is published by Pushkin Press and you can get your copy from Foyles or your own preferred retailer.